Tom Brady and Gisele Bündchen arrives at the Hollywood For Science Gala at Private Residence on February 21, 2019 in Los Angeles, California. The couple are celebrating their 10th wedding anniversary. 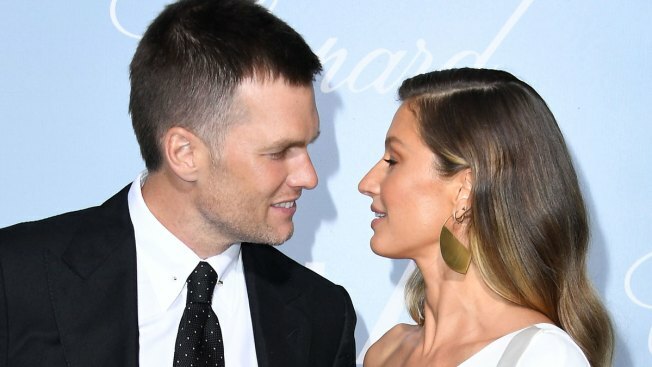 He may have six super bowl championships, but New England Patriot QB Tom Brady knows he scored the biggest win of his life 10 years ago, walking down the aisle with super model Gisele Bündchen. The power couple took to social media Tuesday to reveal never-before-seen wedding pics as they celebrate their 10-year anniversary. "Ten years ago, I didn’t realize how much I could love you and the family we created together, Brady captioned his post. "My heart is so full and I am so blessed! I know our journey has not been easy, but the challenges we have overcome have made our bond stronger and our love grow deeper. Thank you for loving me, for supporting my dreams, and for nurturing our family in the way that only you could. You are my rock, my love and my light! I love you and I love our family!" Bündchen responded in kind, posting pics herself and writing, "I can’t believe it’s already been 10 years since we’ve chosen to walk this life together... and what incredible 10 years we’ve had! There is nothing that I love more in this world than you and our family. Thank you for being on this journey with me and for doing the work that it takes to make it so special. May we continue growing together, walking side by side supporting and loving one another for many many years to come. Te amo tanto." Bündchen, 38, and the Patriots QB, 41, have two children, 9-year-old Benjamin Rein and 6-year-old Vivian Lake.